Marble is a very popular choice for tiling. It comes in a wide variety of colors and patterns and (bonus) is less expensive than many other popular solid tile materials. There are drawbacks, however, the main one being that if you use the wrong thing to clean it, you’ll get dull spots, called etching. Etching is a result putting acid on the marble. This can happen from any acid, including something as simple as lemon juice. Because of etching, marble has a bad reputation for being difficult to clean and maintain. It’s actually very simple. When cleaning your marble tile, all you need is a bit of dish soap and some warm water. Most dish soaps are more basic than acidic, so as long as you pick something mild you should be fine. Don’t use bleach, vinegar, lemon juice, or cleaners like Windex. Those are all acidic and could cause etching. Simply mix the soap and warm water then spray it on the tile. You don’t need to drench it, just get a nice, light misting to cover a good bit of it. The next thing you’ll need is a warm, damp wash rag or cloth. 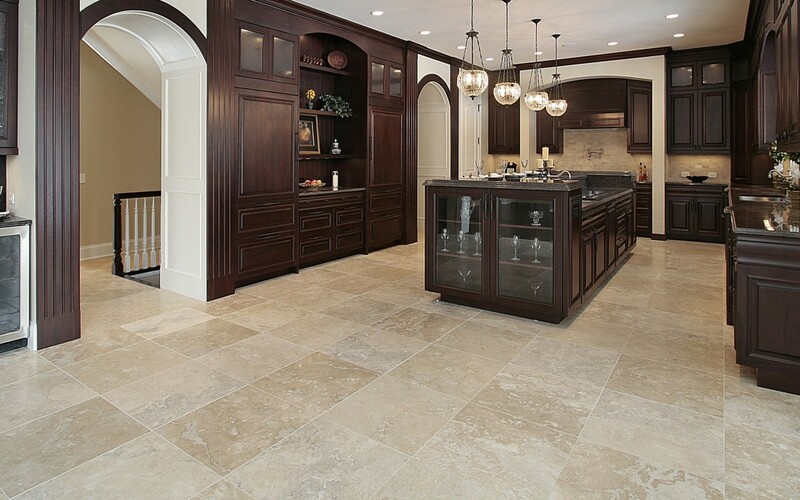 You want to make sure not to use something abrasive as it could scratch the marble tile. Just run the cloth under your faucet with the hot water on, wring it out a bit, and wipe the tile. If you’ve got something on them, some spilled milk or some dried food that has stuck to the marble surface, put a little extra elbow grease into it. Once you’ve got everything nice and clean, take a dry towel (paper or cloth as you prefer) and lightly wipe away the excess dampness. “Easy enough,” you might be thinking. “But what if I spilled something and stained my beautiful marble tile?” Try mixing hydrogen peroxide with a few drops of ammonia (but only a few). You’ll want to get to it pretty fast, but you can buy yourself some more time if you’ve been good about spraying marble sealant every month. If worse comes to worst, you can always call a professional.